We’ve been serving our local community with paint and sundries for more than 30 years. In 2008 we became part of the Brewers family and our range and expertise soon expanded even further. All of our staff have first-class technical knowledge, we stock wallcoverings as well as a good range of paints, and we can accommodate large scale contractors, local tradespeople and retail customers with equal dedication. We often provide site visits to contractors and painter decorators to help specify exactly the right products for the job. 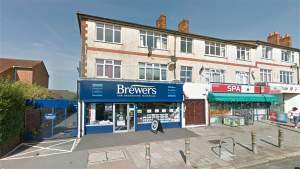 Brewers Decorator Centre in Morden is right beside St Martin Methodist Church at the end of a parade of shop on Martin Way, just a few minutes’ drive from Morden tube station and Raynes Park in the other direction. On Martin Way, with Buckleigh Avenue on your left continue past and the store is on the parade to the left. From the A24 on to Martin Way, continue on until you reach the store on parade to the right.